Learn more about the professional, unbiased technology services that we bring to our clients' projects. ​Maximize budgets, reduce Change Orders, and take a Plan-to-Manage approach with our K12 technology services. View PDF. Maximize budgets, reduce Change Orders, and take a Plan-to-Manage approach with our K12 technology services. View PDF. 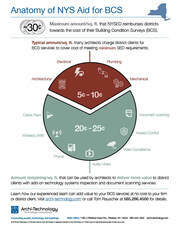 A graphic summary and checklist of Archi-Technology's plan, design, build and manage services. View PDF for K12 school districts. Take a holistic approach to your projects in terms of both systems interoperability and facilities operations. View PDF. Discover how to install technology infrastructure upgrades to historical buildings…invisibly. View PDF.